By Amy Sherman on Monday, February 12th, 2018 at 11:14 a.m. The number of people on food stamps plummeted nationwide in November, according to Breitbart, a conservative news website. "Food stamp enrollment drops by four million in one month," stated the Feb. 7 headline. Facebook users flagged the post as being potentially fabricated, as part of the social network’s efforts to combat fake news. We found that the numbers are accurate, but as the story explained, the decline occurred after a spike as a result of a program to temporarily provide food stamps to people in areas damaged by hurricanes. Ultimately, the number of food stamp clients in November was on par with many of the preceding months before the impacts of Hurricane Irma in Florida and Hurricane Harvey in Texas. The Supplemental Nutrition Assistance Program (SNAP) is a federal government program to help low-income people buy groceries. The average per person monthly benefit was around $126 last year. Breitbart accurately quoted monthly data from the U.S. Department of Agriculture which showed that the number of participants in SNAP dropped from about 45.7 million in October 2017 to 41.7 million in November 2017 — a decrease of about four million. Breitbart explained that the decline was preceded by an increase following temporary Disaster-SNAP enrollment in Florida and Texas after the hurricanes. Food stamp clients jumped by about three million between September and October nationwide after the USDA approved Disaster-SNAP for Florida and Texas. Jessica Sims, a spokeswoman for the Florida Department of Children and Families, said that DCF handed out these disaster benefits to 3.1 million people between late September and early December. In Texas, there were 1.6 million individuals served. SNAP acts as a first responder after natural disasters, providing assistance to households that may be vulnerable as a result of their place of employment temporarily closing, or facing expenses due to damage or relocation, according to the Center for Budget and Policy Priorities. Breitbart’s statement about the four-million drop in one month makes for a catchy headline, but if we put it in context and look at the data over a few months, it showed that the November enrollment of about 41.7 million is in the same ballpark as many of the past several months, for example in May when there were 41.6 million SNAP clients. Experts told PolitiFact that monthly enrollment can fluctuate due to factors such as disaster assistance, so it’s more useful to look at longer stretches such as annual data to understand trends. Breitbart accurately noted that food stamp enrollment has been on the decline since fiscal year 2013. Annual SNAP data shows enrollment climbed from about 28.2 million in 2008 to 47.6 million in 2013 and has declined every year since that time. SNAP enrollment hit 42.2 million in 2017. 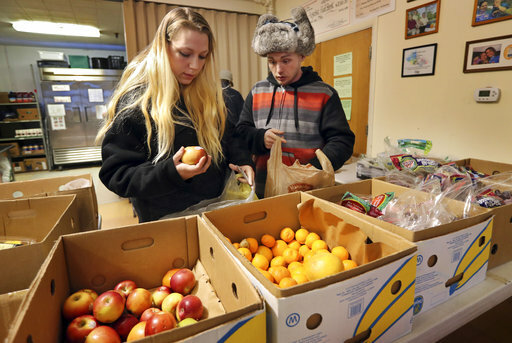 SNAP enrollment fluctuates based on the economy. National enrollment climbed between 2007 and 2013 amid the recession and sluggish initial recovery. The rising numbers were as a result of expanded eligibility and outreach, which began under President George W. Bush including a commitment to expand funding. Also, the 2009 stimulus package signed by President Barack Obama expanded eligibility. So far there have been no explicit changes implemented to SNAP since Trump took office in January 2017 to give him credit for the decline, said James Ziliak, director of the center for Poverty Research at the University of Kentucky. "To the extent that the economy has continued to grow under President Trump, including rising wages, then to the extent that his policies have not interfered with this pre-existing trend he deserves some credit," he said. The Trump administration has made some moves toward work requirements for people who receive certain government services, including food stamps. "If you’re on food stamps and you’re able-bodied, then we need you to go to work," he said. The federal government has sought input from the states in an effort to promote employment for food stamp recipients. According to the USDA, many SNAP households already have a person working. Nearly one-third of all SNAP households and 55 percent of households with children had earnings in 2015. We emailed the Breitbart reporter and did not get a reply. Breitbart said that "Food stamp enrollment drops by four million in one month." Data from the USDA showed that the number of SNAP participants dropped from about 45.7 million in October to 41.7 million in November, a decrease of about four million. But as Breitbart explained, there was a temporary spike in enrollment due to Disaster-SNAP, including in Florida, as a result of a hurricane. In general, comparing two months doesn’t tell us much about longer-term trends. But Breitbart noted that food stamps have declined since 2013, which is accurate. Published: Monday, February 12th, 2018 at 11:14 a.m.